Sanskrit we believed is one of : the oldest language of the world. We have always been told that like many other languages Punjabi too has evolved from it and that like the Punjabi culture is a derivation of the Aryan culture. DR. DARSHAN SINGH A professor at Punjab University refutes this and proves that the Punjabi language already existed when Aryans came and that the Sanskrit is influenced by the Punjabi language. He asserts that the Punjabi people are not Aryans but the original natives who formed the oldest civilisation in the world. 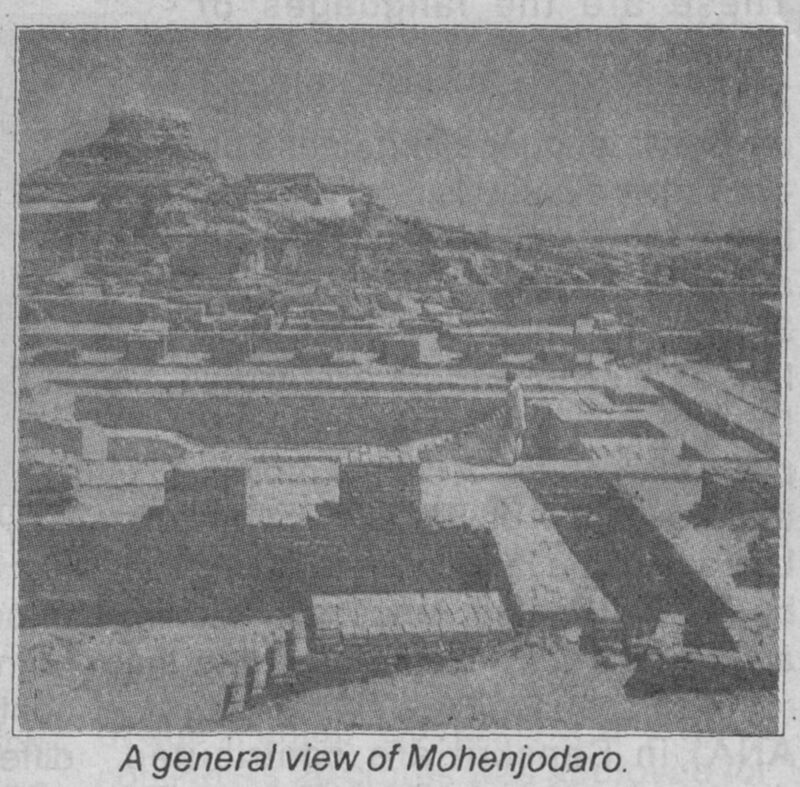 the early twenties of this century extensive excavations done at Mohenjo-daro in Larkana district of Sind and Harappa in Montgomery district, both now in Pakistan unearthed some amazing revolutionary materials which tend to prove that in the pre-historic times, the people of Indus Valley had a high order of civilization. Since these cities existed centuries before the advent of Aryans on this land Dr. Darshan Singh delineates that the language and culture of Punjab were the first rays of civilization for the humanity in this part of the globe. At least five thousand years ago, the Indus Valley had a ' glorious civilization, not found in any other part of the civilized world It has been found that the lived in well-built brick houses with good floors, bathrooms, wells and rubbish pits. The city had developed drainage system, there and its roads and streets were straight and wide. It can be said that its municipal life w?s much advanced and sanitation systems were thoroughly organised. A great public bath, 180 feet by 108 feet, with a large swimming pool, surrounded by galleries was a spectacular find of the whole excavations. The people were well advanced in agriculture, tended sheep and cattle .qnd used vehicles for transport. ' Cotton cloth was in use which they spun and wove and their craftsmanship was of a high order. The discovery of photographic script reveals that they had an advanced art of writing. So far as religion was concerned the people worshipped trees, phallic stones, the mother goddess and also a male god. Many historians are of the opinion that this civilization had a close 'affinity with the Sumerian civilization of Mesopotamia. 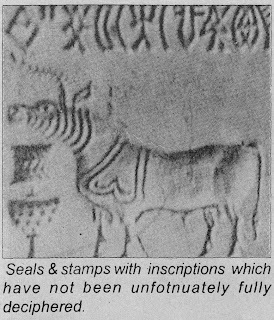 Some seals of the Indus Valley found in Mesopotamia, established beyond doubt that an inter-relationship of sorts must have existed between the Indus Valley and the other lands of Western Asia, long before the recorded history of the world' Further it is also established that this great civilization owed little to the outside world and is no ground to believe that it was formed by immigrants from other countries. The cities of Harappa and Mohenjo-daro were built by the people who had been living in the Indus Valley for several centuries before the Aryans entered lndia. 1. 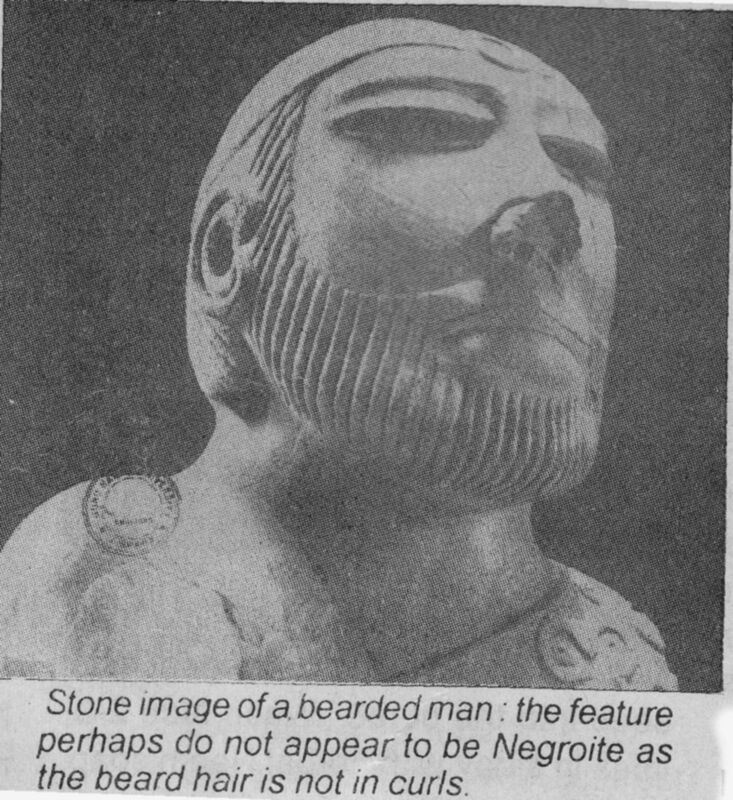 The Aryans were not the first inhabitants of Punjab. They came to this land during much later times. 3. The Aryan of that time had no perception of art and culture although they had their sacred scriptures like the Vedas with them and hence the Vedic language was also used in conversation. 4. The natives of this land had their own philosophy of life, religious quest and queries and -methods of meditation etc. 5. They had their own perceptions of art and culture. 6. They had their own art of writing which shows that they had a developed language and script. The above facts clearly establish that the civilization of the Natives was much advanced than thosb of the Aryans who came to this land in groups as invaders' This is also an established fact that the Aryans borrowed much of what is known as the Aryan civilization from the Natives of Punjab. 1. They borrowed the concept of Karma and transmigration of soul from the original inhabitants of this region. 2. They borrowed their much adored deities like Shiva and Vishnu and some experts are of the opinion that even lord Krishna is a god of the pre-Aryan civilization- Goddesses like Durga, Kali and Chandi were also adopted by the Aryans from the inhabitants of the earlier civilization. The worship of trees and the belief in magic were also the contributions of the aborigines to the Aryan civilization. 3. The most popular Puranic stories about 'devas' and demons which cultivated the Aryan consciousness are also said to be the product of the influence of local civilization on the Aryan civilization. 4. So far as the dress was concerned, dhoti, the saree etc. were also adopted by the Aryans from the local people. 6. The use of coconut, rice, beetal leaf nut (pan-supari) etc. in religious ceremonies was also due to the influence that the earlier civilizations had on the Aryans. The excavations done at Harappa, Texla and Ropar prove, beyond doubt, that the civilization of Punjab is the oldest of all the civilizations in the world. There is of course, a difference of opinion about the race of the original inhabitants of Punjab. A possible belief is that the history of Punjab as we know it today is not the history of the natives. The civilization of Punjab is much older than what we have come to know through books on history. 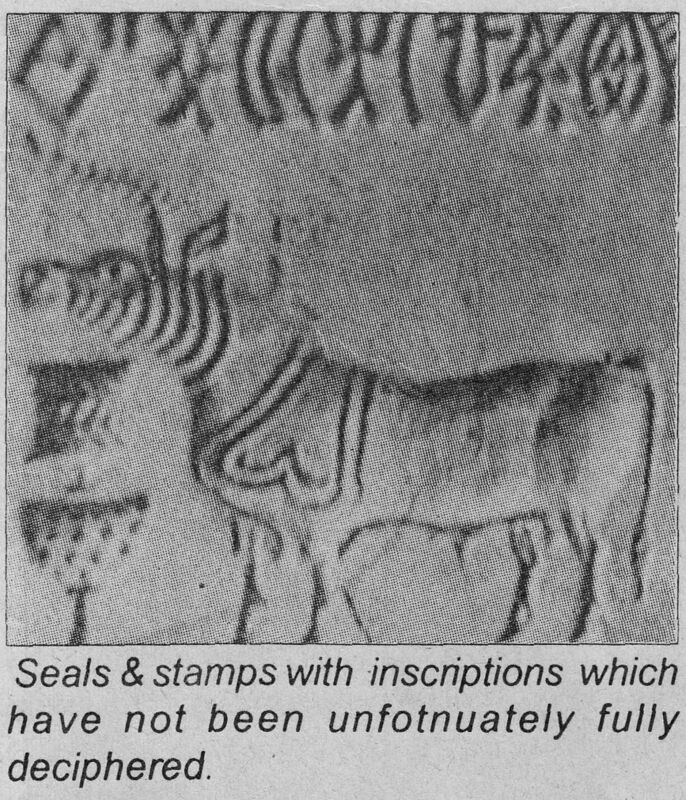 Different scholars have given different names to the people of the pre-Harappan period. Some are of the opinion that Munda and Kolari tribes were the original residents of Punjab. They were the people of Austric origin, living throughout the stretch of land from Punjab to New Zealand at the same time. They have a number of tribes known as coal, peel, santhal, munda, sawara, hoo, kurda, jang and kurku etc. Annel Hack is of the opinion that the people of Punjab possess traits similar to those of the people of Austric origin, the prominent among whom were the people of the Munda tribe. Secondly they were also known as the people of Aambri-pal civilization. 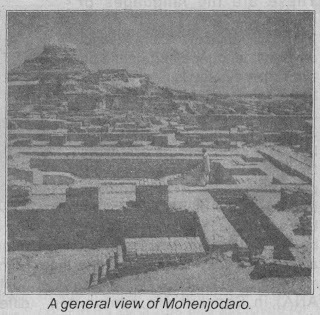 Aambri is the place which was adjacent to Mohenjodaro in Sindh Baluchistan. The traits of the people of the Aambri Pal civilization are similar to the people belonging to the Mohenjodaro civilization or to those found in Ropar district in Punjab. This is the reason why scholars believe that Munda and Aambri Pal civilizations are the same. Dr. Pandey classifies these people as belonging to the Sohaan civilization. As they lived on the banks of this river they were known as people of Sohaan civilization. The people of this civilization are known to be the oldest Punjabi settlers. They were expert in making tools out of stones. On the whote the people of the pre-Harappan age were of Austric origin. They had their definite characteristic language and script. This is amply illustrated by the archaeologists as well as the linguists. They were expert in agriculture and urbanisation. They were definitely quite advanced in art, particularly in making wall-paintings etc. They were the worshippers of mother goddess and shivling and also sacred trees like pipal etc. Their idols were the female goddesses like Durga, Chandi etc.. They were expert in yoga. Philosophically they believed in the transmigration of action and soul. It is clear that there is very little difference between the Munda and Dravir characteristics. Similar is the case of the residents of pre-Austric age. This is also clear that this Dravarian civilization has evolved itself into the Aryan civilization. Thus, it is a case of some earlier civilization evolving and merging itself into the austric, the Austric into the Dravarian and the Dravarian into the Aryan. 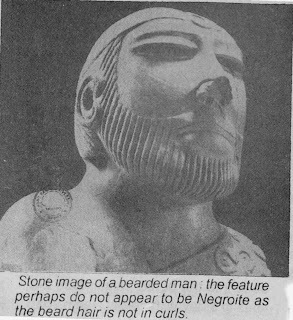 Because of this, most of the features of the Dravalian civilization became the part of the Aryan civilization in Punjab. 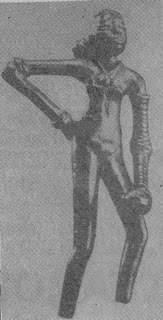 The Aryans, that is the post-Harappan civilization, adopted from the earlier civilizations a number of things. These and many such terms' have come down to us in Punjab, through the above said cultural stream. Significantly when the Aryans entered Punjab they were not a civilized people. They learned the art of a civilized living from the original residents of Punjab. lf so many things concerning different areas of life are attributable to the influence of an earlier civilization on the Aryans then we can safely conclude that the influence of the earlier language must also have been there on the vedic, language of the Aryans. 1. The Civilization of Punjab is older than the civilization of the Aryan invaders. 2. The people of Punjab thus had a language and a script of their own. 3. The language of the Aryans that is the Vedic language was influenced by the Punjabi language of the time. It is not necessary that the name of the language of that, time in Punjab: was Punjabi. But they had a script and a language which influenced the language and script of the Aryan who settled in these parts. Most of the scholars who have worked on some of the different aspects of Punjabi language are of the opinion that Punjabi is the product of lndo-Aryan group of Languages. They draw its lineage from Sanskrit to Prakrit, Prakrit to Apbhransh and from Apbhransh to modern lndo-Aryan languages including Punjabi. Some scholars put vedic in the place of Sanskrit and accept the remaining order. They are of the opinion that Sarnskrit was the highly sophisticated language and it was prevalent only among the elite. It was never the language of the masses. Therefore, it should be treated as a separate unit. 1. Munda, Kulari and Dravid :- It is the language group, which actually is the heritage of the Punjabi language. These are the languages of Punjab. 2" The influence of ancient Punjabi on Dravir language and hence on Sanskrit is clearly visible. This has been recorded in a number of authentic books on the subject. 3. Dr. S.K. Chatterji had given a list of words which are from Dravian source and have found a place in Sanskrit. It clearly proves that the place of Sanskrit in the Lineage of the languages is influenced by the old Punjabi language. Again, almost dl the scholars agree that the retroflex sounds (TA, THA,.DA, DHA, ANA) in Sanskrit are contributed directly by Munda Dravid group of languages. Such examples can be further added easily to prove it in more details. So the above said elements are assimilated and absorbed in Sanskrit in such a way that they have become an integral part of the Sanskrit language and its literature in a very natural manner. Therefore, the history of Punjabi language in lndia is longer than that of the history of Vedic and Sanskrit. It is more so because the civilization in this land is the oldest civilization in the world. It influenced the life, in all its multi-dimensions. It influenced the Aryans also. The Aryans learnt the art of civic life and many other arts and crafts from the local Punjabi people.' It is a well-considered view of a large number of scholars that the Punjabis have been a very dynamic people throughout their history. The reason being that Punjab, since ages, had continued to be a converging point for different races and nations. Whether the foreigners invaded Punjab or had trade and political relations with the people of different religions and races continued to pour into Punjab and a few of them even settled down here. This confluence of different people is one potent reason that the Punjabis have distinct features, skin, colour, food, habits, dress and also a unique philosophy of life. This distinction is' also in a way the source of its dynamism. Taking into account all these findings of logic and research, it is possible to believe that Punjabi was the language of the people of Punjab even before Aryans qamq to this land and Punjabi continued to influence various stages of Vedic or Sanskrit evolution and is therefore a source language rather than a by-product. After many facts have been brought to light by the archaeological excavation Punjab is known to be the oldest civilization in the world. So much so that scholars have claimed it to be the first home of man-kind because it is here that the first home of man was discovered. But now the legitimate question arises as to who were the first residents of this land ? This has also been proved that the residents of Punjab in the remote past were the people who hailed from different races. Sociologists have proved that broadly Punjab was like a melting point in which' these great races, discussed earlier, among numerous others got mixed and inter-mingled to give a composite culture as the final product which is a uhique social model in the world.